Let’s get it right – hypnosis is not about mind control. Our subconscious minds won’t accept suggestions which conflict with our ethical and moral code, nor accept in our awake state. Hypnotherapy however, as provided by the Body and Mind Clinic, can be variously described as a form of psychotherapy or, alternatively, psychological intervention. Whichever you choose to call it, hypnosis is a therapeutic technique which uses the hypnotic state to, firstly, identify the causes or origins of personal problems and, secondly, provides a means of reducing or overcoming a client problem or problems. This is achieved by the therapist helping his client to enter a hypnotic state, often by means of progressive relaxation. This state is induced by the therapist using his voice, with different suggestions, to gently coax the client into complete relaxation. The hypnotic trance – simply an ‘altered state of awareness’ – most find to be pleasantly relaxing, a bit like daydreaming really, and come out of it feeling totally refreshed. The conscious mind becomes calmer and less active, allowing the subconscious part of the mind to open up. It contains all the resources necessary to make beneficial and effective changes in thoughts, beliefs and behaviours which are no longer helpful or relevant. Suggestions and negotiated practices are used in client in hypnosis, allowing the target – positive behavioural changes – to be reached. Some problems may be dealt with in a single session – such as in smoking cessation – while others may require a course of treatment. 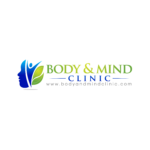 The method and duration of treatment is usually agreed in the initial consultation and you can read about this in greater depth elsewhere on the Body and Mind Clinic website. Do read our informative article on Hypnosis on page XXXX. Booking an appointment couldn’t be easier via a phone call or this website.